SPECIAL: $38.99 each, Hurry, Special will end without notice! 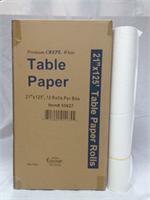 21"x225' Tablepaper Rolls, 12 per case. Premium Quality, Smooth White Table Paper Rolls. SPECIAL: $19.99 each, 8.5"x125' Crêpe Head Paper Rolls, 25 Roll per case. Hurry, Special will end without notice! FREE* SHIPPING ON $99 Orders! 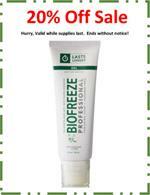 SPECIAL: Buy 10 at $8.99 each & Get a Free Good From the Drop Down List. SPECIAL: $34.99 each. 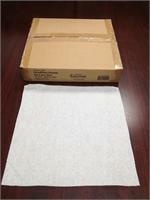 18"x225' Tablepaper Rolls, 12 per case. Premium Quality, Smooth White Table Paper Rolls. SPECIAL: $29.99 each, 21"x125' Crêpe Exam Tablepaper Rolls, 12 per case. Hurry, Special will end without notice! 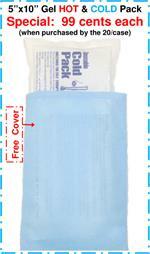 Therabuilt® Disposable Headrest Covers, 100pcs. Available in Standard or WaterProof. #55501 - White: Fits most face cushions. #55502 - Black: Fits most face cushions.